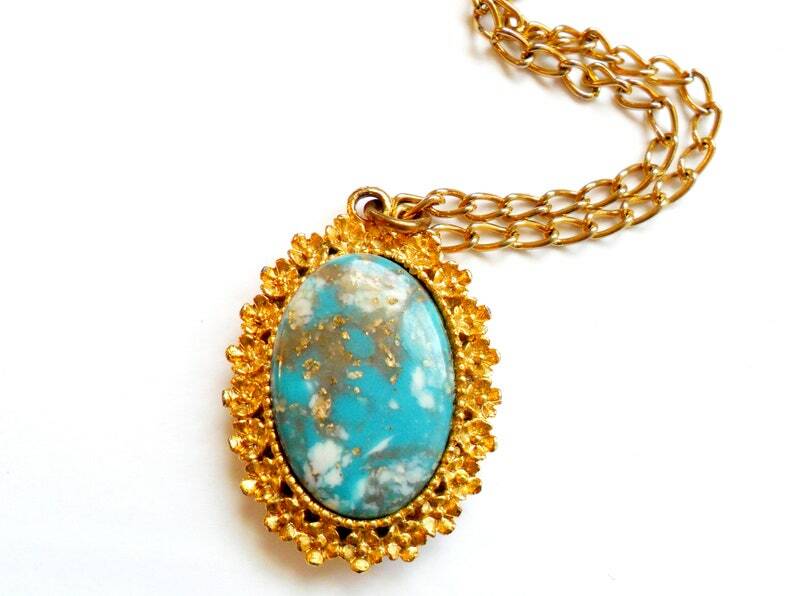 Beautiful vintage gold tone pendant with a faux turquoise matrix lucite center cabochon. The cab has marbled turquoise blue and white tones with embedded gold glitter. This is a heavy pendant. It has been attached to a newer gold tone chain, and is finished with a lobster claw clasp. Pendant measures 1.5 inches tall and 1 inch wide. Chain measures 29 inches long, but could be worn shorter.